Lei Ho! Welcome to the Hong Kong Eco Pages! This densely populated city sits like a jewel at the base of China, with the glittering South Chine Sea beyond it. Beautiful beaches flank its green mountains, and it offers a wealth of outdoor activities including many hiking trails, sports grounds and water sports. Getting around is easy, one of the best public transportation systems in the world. The MTR train service alone averages 3.7 million passengers every weekday! Here you will find business listings for products and services across all the Ecozine categories, from CSR and carbon services to baby products, technology companies, recycling facilities and more. 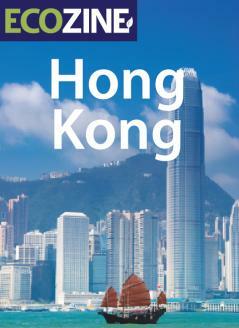 With a directory this comprehensive, living green in Hong Kong is suddenly made easy! As a bustling financial and commercial hub, Hong Kong is perfectly situated to lead trends in eco business and lifestyle. Carbon management can be found here, as well as companies in the responsible investing field. After your workday’s done, check out the list of excellent vegetarian and organic restaurants and food stores, as well as our selection of places to find everything for your natural beauty and style needs. Or get healthy and satisfy your spirituality, with a selection of excellent alternative healing and yoga centres. Next, be sure to check out our listings for a wealth of shops and companies offering products to make your home life more sustainable, including cleaning products, furniture, children’s products and more. Looking for eco? Find it here!